I'm all about locally made and produced products, so couldn't resist coming home with a couple bottles of Capital Kombucha when I spotted them at my local Mom's Organic Market. This bottled brew of fermented tea is produced in nearby Washington D.C. and comes in ten flavors. I tried the ginger and basil lemongrass, and fell in love with both. The former is bold and sharp while the latter was soothing. 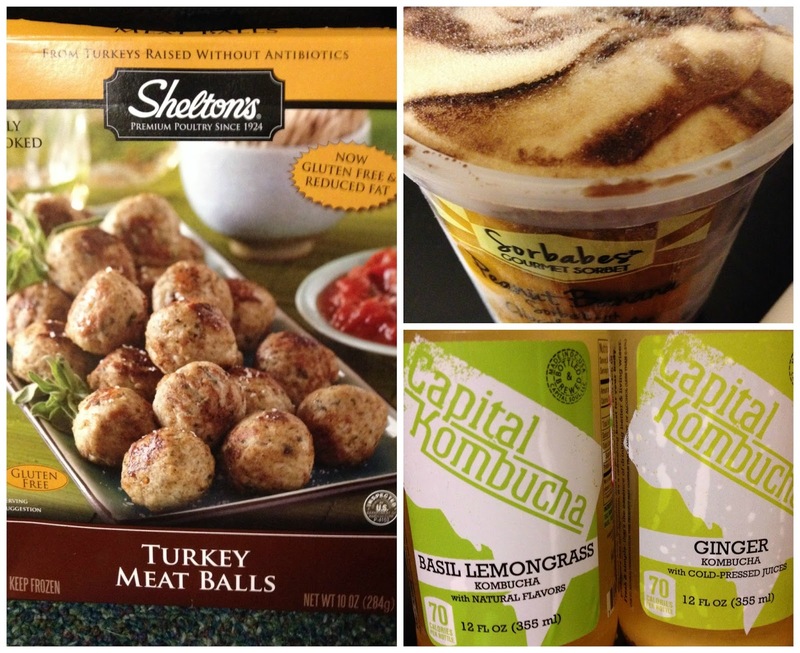 I loved how both are loaded with probiotics and made with real ingredients you can actually pronounce. I look forward to taste testing more of Capital Kombucha's brews in the future and enjoying a cold bottle when I need a mid afternoon pick-me-up. 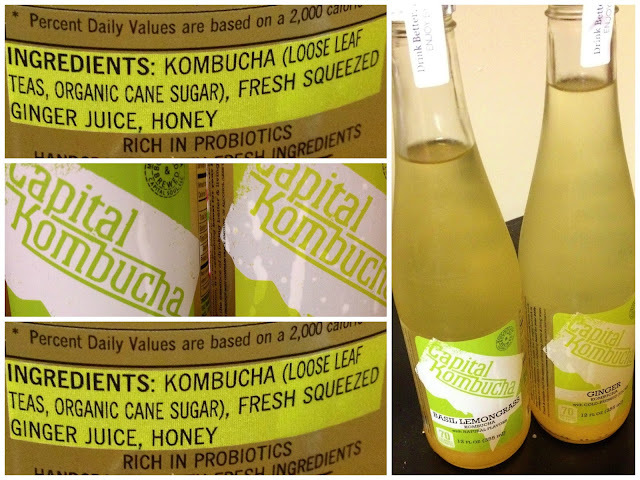 For more information, check out Capital Kombucha's website here. I first met Sorbabes back in September at the Natural Products Expo East (see more here) but at that event did not try the peanut banana sorbet. I made a big mistake in passing up this gourmet sorbet because this flavor knocked my socks off. I am not a huge banana eater, but the banana base is perfect in this frozen concoction because it provides sweetness and plays well with the whole peanuts and decadent fudge swirl. It's decadence without the heaviness of ice cream and is totally guilt-free with it's water base. I picked up the pint at my local Wegmans. Learn more about Sorbabes here. 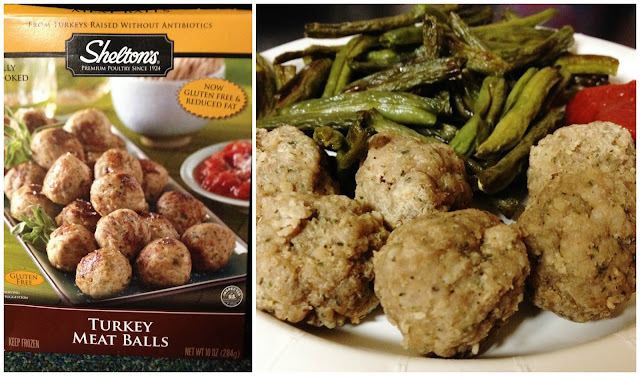 Growing up, I hated meatballs, namely because they always upset my red meat sensitive stomach. However, with Thanksgiving on my mind, I was willing to give Shelton's turkey twist on the comfort food a try. Microwave-ready they cook in mere minutes, proving to be a perfect study snack when I'm too tired to cook something from scratch. The meat is tender and seasoned perfectly, and works well with various sauces such as ketchup or marinara. My favorite pairing is cooking up a few and serving them over pasta for a quick yet comforting meal. 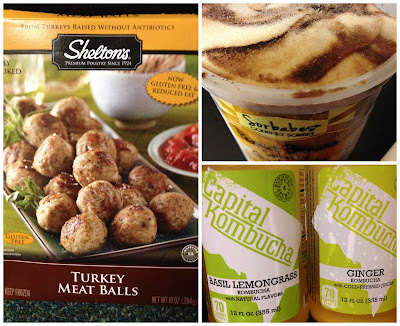 Click here to read about Shelton's meat balls. Disclaimer: This review is current to the original publication date. Updates will be noted. Ingredients and manufacturing processes can change without notice. Each product should be reviewed for individual nutritional needs. Feel free to to contact me with any questions or comments. I purchased all of the items featured in this post independently and it is a reflection of my personal opinion.